Be the first to share your favorite memory, photo or story of Robert Wayne. This memorial page is dedicated for family, friends and future generations to celebrate the life of their loved one. 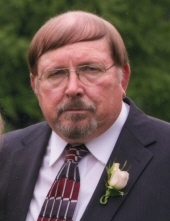 Robert Wayne “Skip” Gregonis, 71, of San Angelo went to be with the Lord on Wednesday, April 10, 2019 in San Angelo. Robert, who was affectionately known as “Skip”, was born January 24, 1948 to Julius and Elizabeth Morrow Gregonis. He grew up in Odessa, Texas and graduated from Permian High School. After High School, he attended Texas Tech University where he later graduated with a Bachelor of Science Degree in Architecture. He married the love of his life Susan Elizabeth Denison on April 5, 1969 and they shared 50 beautiful years together. Skip served his country honorably for 7 years in the United States Army Reserves. In 1977 he received his pilot’s license and was always very proud to be able to fly. He owned and operated R.W. Gregonis Architects & Design and Accessibility Groups here in San Angelo. Skip sat on numerous boards of directors for City of San Angelo projects over the years. In his spare time, he enjoyed cooking especially for family events. He also loved restoring cars and boats. While his sons were active in scouts he was an assistant leader for the Boy Scouts of America program. Most of all, he was a builder who loved working with his hands. He could fix anything and he built many things in and around San Angelo including his own home. Skip was a loving husband, father, grandfather and brother who adored his family and would always go out of his way to help anyone in need. He was also known to his family and friends as the “Teacher of all things!” Skip will dearly be missed by all who loved him! He was preceded in death by his parents and one daughter Sheree Elizabeth Gregonis. Skip is survived by his loving wife Susan D. Gregonis of San Angelo; his children Ryan Wayne Gregonis and his wife Elisa, Jon Hunter Gregonis and his wife Melissa, Kaylee Michelle Gregonis and Gage Hunter Gregonis all of San Angelo, his grandchildren Scott Hunter Gregonis, Charlotte Reece Gregonis, Annibelle Grace Gregonis and Kaylee James Moore. His Sister, Nancy Carol Hardt, of Nashville, TN; his Sister-in-law, Jan Jeffries and husband Terry, of Lake Worth; his brother-in-law Mike Denison and girlfriend Dawn McKirdy. He is also survived by numerous nieces and nephews, other family members and close friends. The family will receive friends for visitation from 6:00 P.M. – 8:00 P.M, Friday, April 12, 2019 at Harper Funeral Home. The Funeral Service will be 10:00 A.M., Sat. April 13, 2019 at Harper Funeral Home Chapel with Rev. Tim Davenport-Herbst officiating. Interment will follow at Lawnhaven Memorial Gardens. "Email Address" would like to share the life celebration of Robert Wayne "Skip" Gregonis. Click on the "link" to go to share a favorite memory or leave a condolence message for the family.